Hi there! Yes, it's true. It's the middle of June and I've been designing holiday cards. Crazy, right?! Well, it's Minted.com's annual holiday card challenge so I've cranked up the holiday tunes and have been drinking hot chocolate (ok, maybe just mochas) but I've managed to design 15 holiday cards for my 2013 collection. Below is a sneak peek of all of the designs as well as links to vote for mine to win their annual contest. I'd really appreciate your vote! The top 40 designs win a cash prize as well as a bunch of Editor's picks from the fine employees at Minted and some fabulous guest judges including Michael Boodro, Editor in Chief of Elle Décor, Victoria Smith of SF Girl by Bay, Leila Lewis of Inspired by This, and Vanessa Holden, Creative Director of West Elm. I created 3 pin boards with my designs on them, so just click on each image below, hover over the designs and click "Vote". Vote 5 and then hit back on your browser to get back to the pin board. Hurry, because voting ends Monday, June 24, 2013 at 11:59pm PST. And don't worry, there's something in it for you, too. If you vote for 50 or more designs (which takes about 2 seconds!) 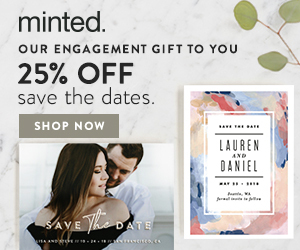 you get 10% off your next order at Minted. You're not only supporting me, but hundreds of other independent designers across the world! From all of them and me, too....thanks!! !